Vaccine pseudoscience from Corvelva anti-vaccine "researchers"
Oh, here we go again with more vaccine pseudoscience that makes the anti-vaccine religion fall on their knees and genuflect as if real science was presented. This time it is garbage science from an Italian anti-vaccine group, Corvelva, that tries to claim that vaccines don’t contain anything but toxins. They laughably believe that vaccines don’t even contain antigens. This is a valid question since it goes to the respectability of research. First of all, Corvelva doesn’t even have a Wikipedia page. The online encyclopedia has a standard of “notability” for any new articles, so apparently, either no one has bothered to give them an article. Or they have, and it’s been deleted by administrators for not being notable. That’s a small point. Their website is 100% or so in Italian, so it’s difficult to get a full grasp of what they do or don’t do. But, as far as I can tell, it is pure, unadulterated, science denying anti-vaccine junk. They talk about how the Incredible Hulk, Lou Ferrigno, having to go to the hospital after receiving the pneumococcal vaccine. According to a thorough analysis by the indignent Orac, “my best guess is that he either had a really bad local reaction or a hematoma and went to the ER. For some reason, it appears that he was briefly admitted to the hospital. Neither of these is life-threatening or reasons not to get vaccinated according to the CDC recommended schedule.” In other words, there’s nothing there, but Corvelva is all over it. In addition, Corvelva mentions Sheri Tenpenny several times. Tenpenny is a lunatic who pushes lies about vaccines, despite zero published evidence supporting any of her claims. Tenpenny, who has no background in any field of science related to vaccines, is a favorite of that ultra-nationalist nutjob, Alex Jones. I see several other articles on the website that represent the beliefs and dogma of the anti-vaccine religion. They also seem to support the current Italian government, which is dangerously anti-vaccine. This is not an unbiased group – apparently, they will do whatever they can to dig up any evidence, whether valid or not, to “prove” that vaccines are not safe or effective. If they really had valid scientific evidence to back their claims, they would get it published in one of many respected peer-reviewed journals who would be overjoyed to publish their findings. However, given what I’m going to write below, it wouldn’t pass a peer-review of high school science fair students. I continue to lose highly capable neurons reading these pseudoscience articles about vaccines, but I persevere. Just come visit me at the nursing home for old feathered dinosaurs when finally I cannot afford to lose another one. Usually, at this point in a review of bad vaccine “research”, I take a look at the authors to determine if they have any credibility. This being an online blurb, not a peer-reviewed article, there are no authors. None. So, it could have been written by the janitor, for all we know. So, let’s jump into the methods. Corvelva was trying to find some disparaging secrets in the Infarix Hexa vaccine, which protects infants against diphtheria, tetanus, pertussis (whooping cough), hepatitis B, polio and Haemophilus influenzae B (Hib). The vaccine is used throughout the world, except in the USA, because the FDA hasn’t completed its review and approval of this vaccine or other similar hexavalent vaccines. 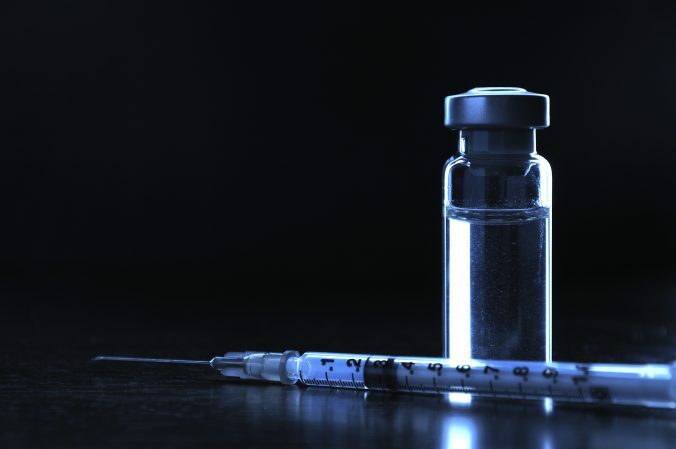 The first test that Corvelva performed, in the order that they described in the non-peer-reviewed paper, states that they subjected a 10 µl sample of the vaccine to 50 µl of trypsin, an enzyme that hydrolyzes larger proteins into smaller peptides or amino acids. This method is used to get amino acid sequences that are unique to proteins, such as the six antigens found in the vaccine (which, of course, induces the immune response protecting the infant against these deadly diseases). These sequences then are analyzed by other methods to “read” the exact list of amino acids. The “researchers” claim that they did not find ANY sequences related to the six antigens, and made the bold claim that the vaccine lacked the antigens that induce an immune response. If this were true, that would mean that the vaccines are completely useless. Except, the only thing that is useless is there methods. Importantly, an aluminum adjuvant (which is completely safe, despite anti-vaccine tropes and fears) is used to promote the immune response to the antigens in the vaccine. Part of the function of the adjuvant is to specifically protect the antigen from damage by proteolytic enzymes which may reduce the immunogenicity of the antigen. So guess what? The aluminum adjuvant in the vaccine probably impacts the ability of the trypsin to hydrolyze the antigenic proteins, meaning that it’s impossible to get the amino acid sequences that allow one to determine whether there are any antigens in the vaccine. This is like a basic issue with this whole “paper”, and it makes it almost too easy to dismiss this as garbage. What they should have done is removed the adjuvant first (they simply took an aliquot from the vaccine vial). They failed at a basic level, something I learned in undergraduate biochemistry. Oh, the value of real science education, but I digress. There are numerous methods that allow a researcher to determine if there are proteins in solution, which may not have told them what those proteins were, but at least it would be some sort of control. They didn’t bother with this basic technique. They did detect amino acids that they couldn’t identify as being from an antigen. The “researchers” immediately dismissed those free amino acids as being from antigens – it almost reads like they think those amino acids are just plain contamination of the vaccine. That’s a ridiculous conclusion. In fact, the trypsin digestion may have been able to cleave off non-specific peptides and amino acids from the antigen. They consider it contamination, whereas a real scientist would assume they came from the protein antigens in solution. It wouldn’t be a definitive identification of those proteins, but it certainly would be an indicator. In other words, Corvelva had a pre-conceived conclusion – vaccines are useless. And they reject any evidence that might contradict their unscientific conclusion. Furthermore, the vaccine contains a reagent called polysorbate-80. Let’s not start – it’s perfectly safe in vaccines. Polysorbate-80 is an emulsifier that keeps various chemicals in solution, like antigens. Without it, the antigens may settle in the vaccine vial or syringe, reducing the effectiveness. The problem with the Corvelva study is that it didn’t consider the fact that polysorbate-80 binds to the reagents used in the peptide assay, reducing the effectiveness of it. At a minimum, it should have been added to the control sample, which used hemoglobin as a known protein. Of course, they didn’t, because either they were incompetent or because they wanted to get the results they wanted. The paper then provided a long list of chemicals, with scary chemical names, that they claim are contaminants in the vaccine. I don’t know about that. First, I don’t know what concentration they found for these various chemicals. Some powerful analytical methods can detect a few molecules of a chemical. It goes to an important point of toxicology – the dose makes the poison. Our body encounters literally billions of chemicals, both natural and man-made, which can be dangerous to a human at some dose, generally way above what we might find in a drug like vaccines. A dose-response relationship does not say that a small amount of a chemical may have a small effect (of course, most have no effect) – generally, an effect from a compound may not be apparent until a much higher dose. There’s more, but this is about as far as I want to go to rip apart this pseudoscience from Corvelva. This junk science from Corvelva is being pushed all across the internet by our usual suspects in the anti-vaccine religion. They do this because they simply lack any scientific evidence that supports any of their invalid opinions about vaccines. This is a ridiculous study that uses amateurish biochemical methods to arrive at conclusions that support their beliefs. A real study would have asked a question like “are there antigens in the vaccine,” and attempted to answer it with well-controlled, well-designed studies. But let’s assume that Corvelva actually found something. Then why not publish it in a real peer-reviewed journal? Why not provide us with detailed methodology and data? If we thought that Corvelva did find something, then a whole bunch of researchers in real science will attempt to repeat the studies. But that means that real science will do real studies which will probably not support the claims made by this group. For the time being, this is a bogus study using bogus methods providing us with bogus results. Hexavalent Infarix is safe and effective, and until I see a real study published in a real journal that says otherwise, this is just more pseudoscience from the anti-vaccine world.